You may or may not remember his name. But, if you watched television in the ’70s and ’80s, you definitely knew his voice. Geoffrey Holder, best known to us as longtime spokesman for 7 Up, passed away on Sunday, October 5 from complications from pneumonia. Holder was talented. Not only was he a great spokesman, but he could act, direct, and design costumes. He played the henchman Baron Samedi in the 1973 James Bond movie, Live and Let Die (Roger Moore’s first Bond film). In 1975 Holder won two Tony Awards for direction and costume design of The Wiz. Kids who grew up in the ’80s may also remember Geoffrey Holder from his role of Punjab in the 1982 movie version of Annie. But, most of us remember his accent and bass voice that he brought to the 7 Up commercials. 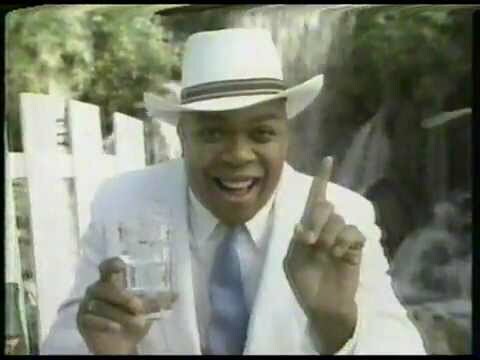 Let’s Return to the ’80s and watch some of his commercials.